Where we stayed: Chisos Basin Campground, Site #27. Reservation was made 180 days in advance since it books up fast! 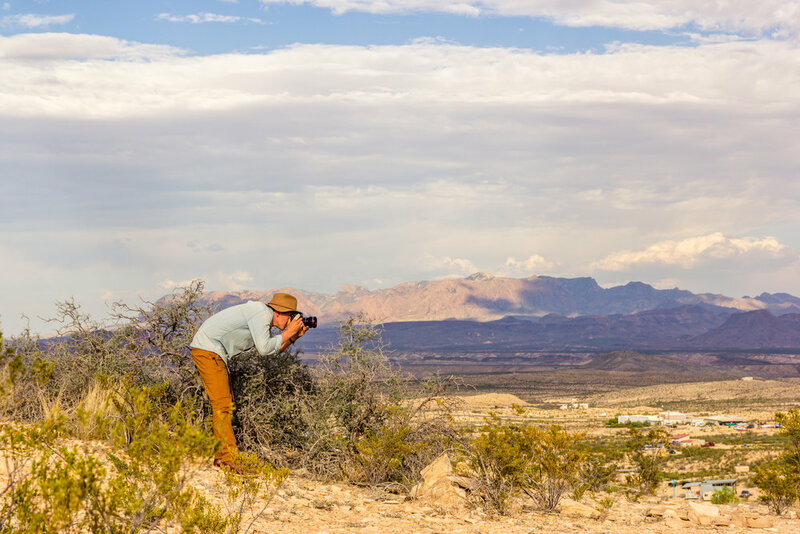 130 million years ago, dinosaurs roamed the area of Big Bend National Park. It also used to be partially under water, which is demonstrated in the unique and beautiful rock formations. Insane, right? But when you stand in the middle of Big Bend and look around, it makes perfect sense. The desolate desert surrounded by the Chisos Mountains is prehistoric looking and frickin' gorgeous. This was our first trip to Big Bend and it was definitely one for the books. There is so much to do and see and we're going to go back 50 more times before we feel like we've seen it all. Read on to hear about our pitstops, hikes, campsite recommendations, and more. 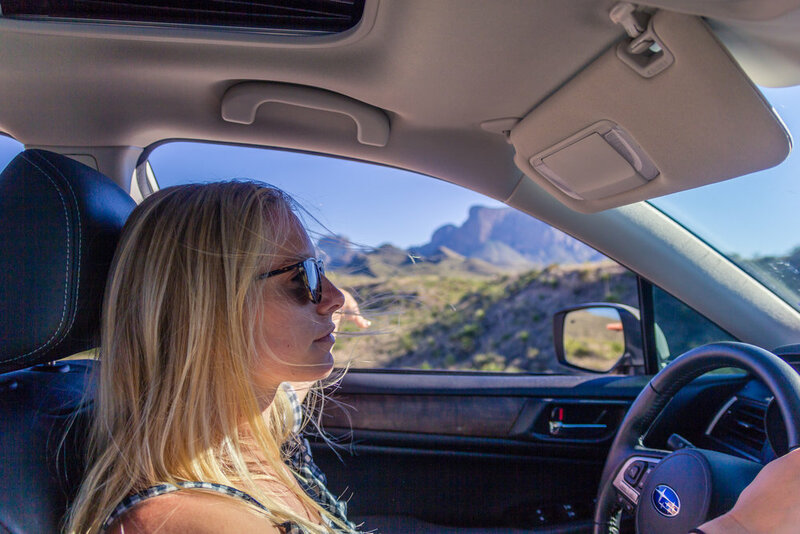 We decided to take our time getting to Big Bend and stop at some spots in West Texas along the way. Next stop was the White Buffalo Bar in the Gage Hotel in Marathon, TX. We heard they make a killer margarita and it's true! Definitely recommend the pit stop. Last leg of the drive was easy enough. The speed limit drops down to 45 MPH when you're inside the park. We stopped for lunch at Taco's OJ in Fort Stockton and it was great. Expect to wait a bit for food. 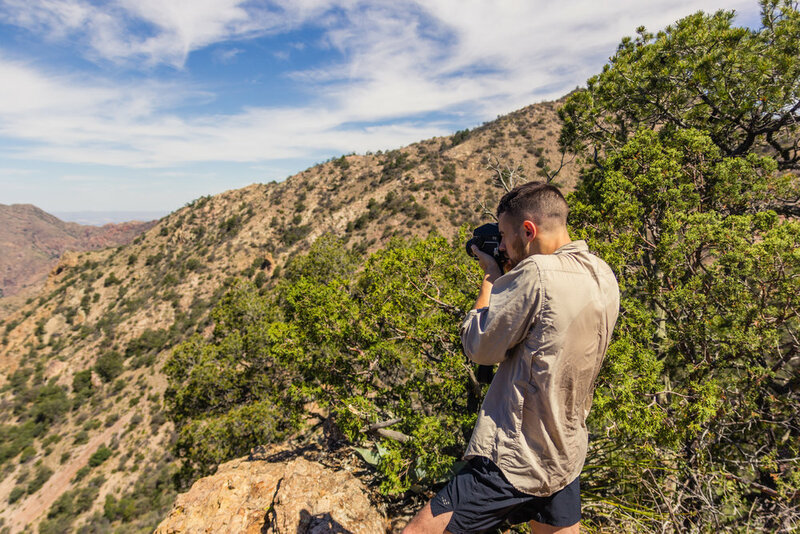 Although we did a lot of research about Chisos Basin and it came highly recommended to us, we still learned a lot about the area once we got there. Reservations: 26 sites are reservable November 15–May 31. You can make a reservation 180 days in advance, which is what we did for our Memorial Day weekend trip. Sites we would recommend: We stayed at site #27 and ended up loving it. There is no gazebo for shade on that site, but we brought our Kelty shade shelter and it was perfect. That spot has a tree for shade as well, but it's frowned upon to hang hammocks due to the lack of trees and their stability. There is a camp store/ lodge/ visitor center about a 2 minute drive from the campground. The store has pretty much anything you could need out there including food, beer, camping supplies, medical, an ATM, ice-cream and wifi. More than 150 miles of trails offer opportunities for day hikes or backpacking trips. Elevations range from 1,800 feet along the Rio Grande to 7,832 feet on Emory Peak in the Chisos Mountains. Due to the hot weather, we only did a few hikes, but truly loved them all. All of our hikes were mountain hikes which you can read more on the Big Bend site. Lost Mines Trail: 4.8 miles round trip, difficulty: moderate. Steady uphill climb the way there, switchbacks, and a beautiful view of the Pine Canyon. Window Trail: 4.4 miles round trip from the Chisos Campground. We did this hike at sunset which was INSANE. Since you're walking through the canyons, it's very hot during the day. Doing it at dusk was perfect weather. Our hike back was in the dark, so we all had headlamps and flashlights. Be aware of wild animals in the dark. Pinnacles Trail + Emory Peak: 9.4 miles round trip. This trail is part of the South Rim trail. Very difficult. All uphill from the trailhead. Once you're 3.2 miles in there is a compost toilet, plenty of shade, and a beautiful view if you do not want to continue up to Emory Peak. If you continue up the peak, the last bit of hike requires some climbing/ scrambling. Be Prepared: It gets hot out there. Smart to start your hikes early to beat the sun. You may think to wear shorts and a tank top to stay cool, but it's actually better to wear light/ long layers to save yourself from the direct sunlight. (Chris and Christina were rocking Prana Pants most of the trip// Women's + Men's). It doesn't matter how much sunscreen you layer on, the sun hitting your skin is draining. Also make sure you have plenty of water. Recommended is 1 liter per 1 hour hike. Due to the hot weather, we hiked in the morning and drove out of the park in the afternoons to explore some more. Everything we did was seriously amazing. Highly recommend everything below. 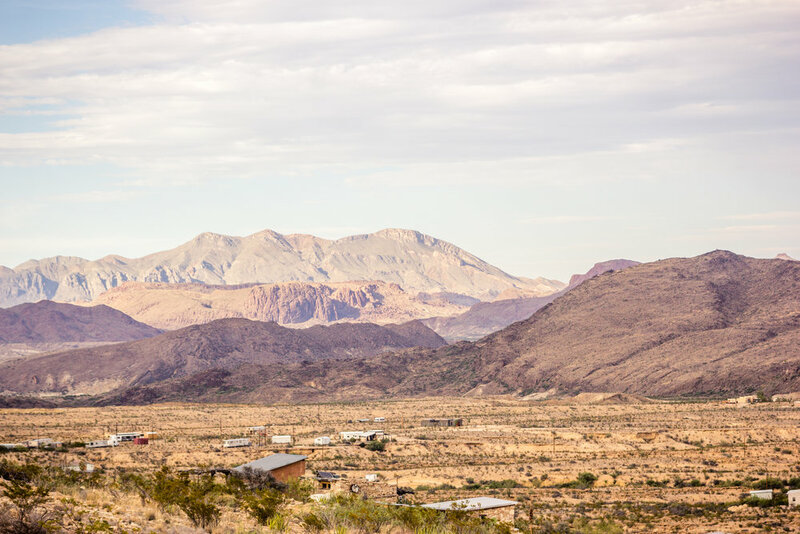 Terlingua is a mining district and ghost town right outside of the park. It's small, weird, creepy, and totally worth the trip. We stopped by the cemetery, the ghost town homes, and finally the Starlight Theater for a margarita. On the way back into the park, we pulled over onto a closed side road near the West entrance, set up chairs, and watched the sunset over the Chisos mountains. There are so many beautiful dirt trails within the park. We drove down the Glenn Springs road and checked out the primitive sites available for camping and explored the desert. We also took a pretty rad squad pic. Make sure your car is at least 2 wheel drive with a high clearance and able to handle the dirt roads and holes. You don't want to get stuck out there! Unfortunately due to a recent flood, we were unable to make it down to Santa Elena with the closed roads. But it came highly recommended to us and we will definitely check it out next time. It's about a .25 mile walk from the car lot to the springs. There is a bathroom in the lot as well. Located in the park, the exhibit opened it's doors in January of 2017. 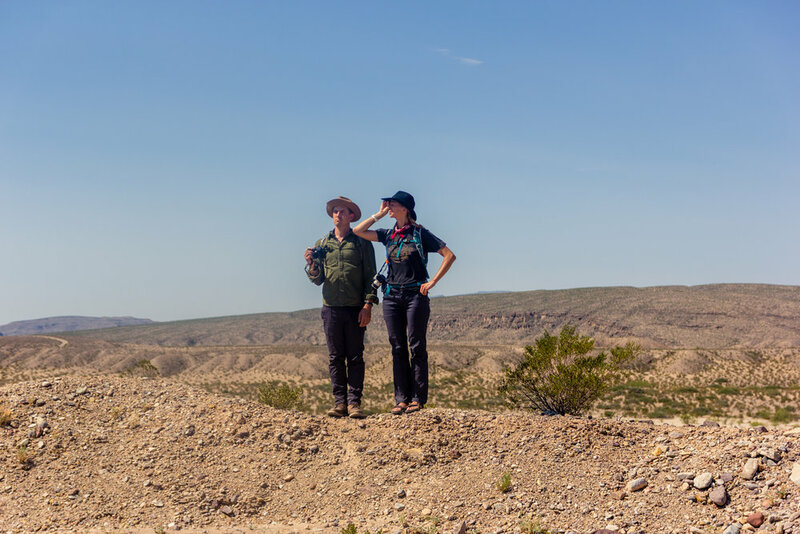 Learn about the dinosaurs that used to inhabit Big Bend and the fascinating way the world has shifted over the millions of years of existence. I feel the need to give Boquillas it's own section because it was my favorite part of the trip. Now, we had never been to Mexico before, and this definitely was not your Cabo or Cancun experience. 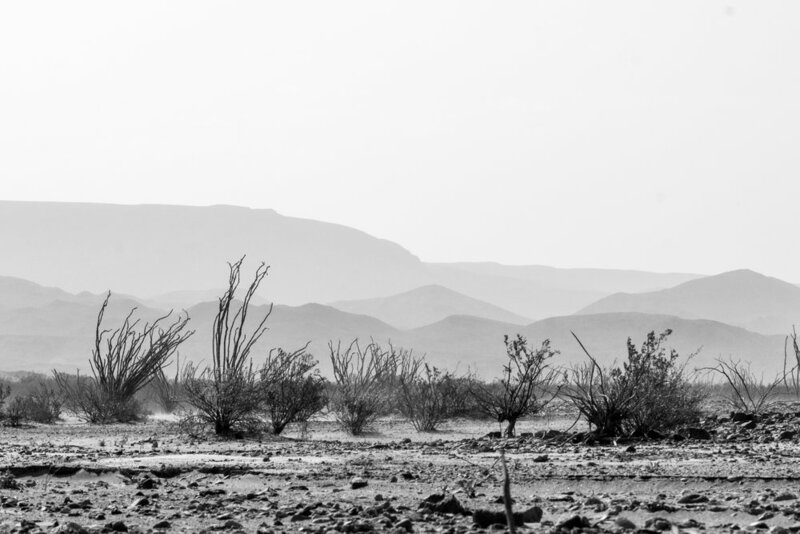 This was desolate, dusty, hot, Mexico. And perfect. Bring your passport and check out this insane little town. Once you arrive at the port, the guards will explain a lot of information about Boquillas, what to do, what to eat, how to get back, and what you're allowed to bring back. There are two options to get into Boquillas: you can take a little boat across the river for $5 round trip, or just simply walk across the river. The walk is about 20 feet across and goes knee deep. With the hot weather we had, this walk felt great. When you get to the other side, you are warmly greeted and welcomed into town. It is a .75 mile walk up to the main area. You can either ride a donkey for $5 round trip, ride a horse for $8 round trip, or take a pick-up truck for $2. I rode the horse which was great, and Chris made the walk on foot. Something important to note that we were told was how the locals will want to give you a tour, or push a method of transportation. Do not feel like you need to do these. Be honest, kind, and tell them no thank you, I do not need a tour of the town. If you do get a tour, you will be expected to tip, as this is their only means of income. 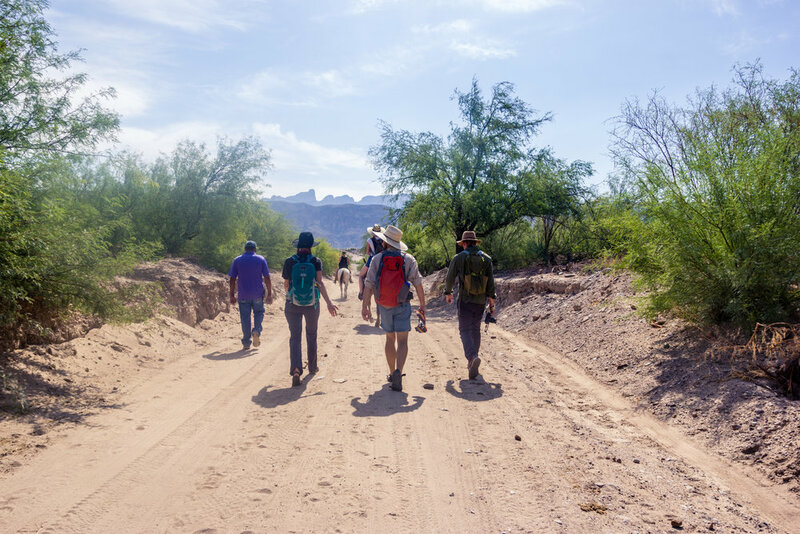 Walking around Boquillas was a trip. They only got electricity three years ago, and have one phone for the whole town. But the people were so kind and welcoming. The guard on the US side told us that it's shocking if kids live past the age of 4. The weather and living conditions are that harsh. 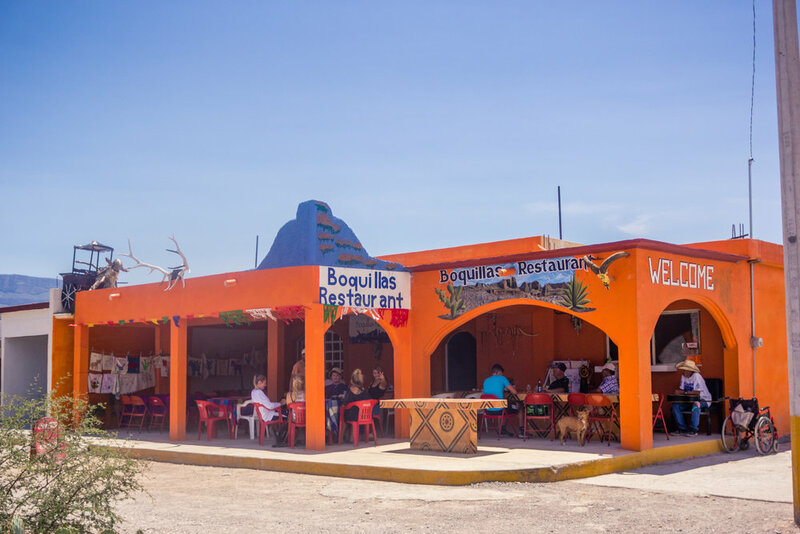 We had lunch at Boquillas Restaurant which was just fantastic. We had beers, margaritas (which was just straight tequila), tacos, tamales, and enchiladas. A man named Esteban told us more about the history of the town and gave us a kiss on the cheek as we left. If you go to Boquillas, find Esteban and give him a hug. Esteban also gives tours of the crystal caves near by, which we were unable to do this time but will our next time around. Going back into the US, you simply scan your passport and let them know if you bought anything in the town. Very simple and so so worth it. Overall, our first trip to Big Bend was a huge success. We did so much and still have so much left to go see. We cannot wait to go back. A big thanks to our good friends Rebecca, Andy, Britton, and Christina for joining us on this trip.